Welcome to this pretty, stone-built cottage in the country, for family groups wanting to get away for a pleasant weekend. With comfortable facilities, the cottage has a professional kitchen, a beautiful lounge with a pool table and open fire, a spacious dining room and 8 bedrooms, 4 of which have bathrooms! Outside, there's a beautiful terrace ideal for barbecues and a garden for children! 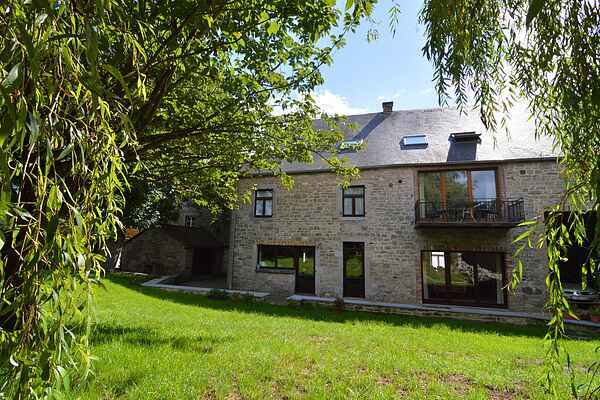 Close to Celles, one of Wallonia's most beautiful villages, Han-sur-Lesse and Beauraing. Numerous places to visit, numerous walks in the forest.